All LAURIE MICHELLE RD CM homes currently listed for sale in San Antonio as of 04/24/2019 are shown below. You can change the search criteria at any time by pressing the 'Change Search' button below. 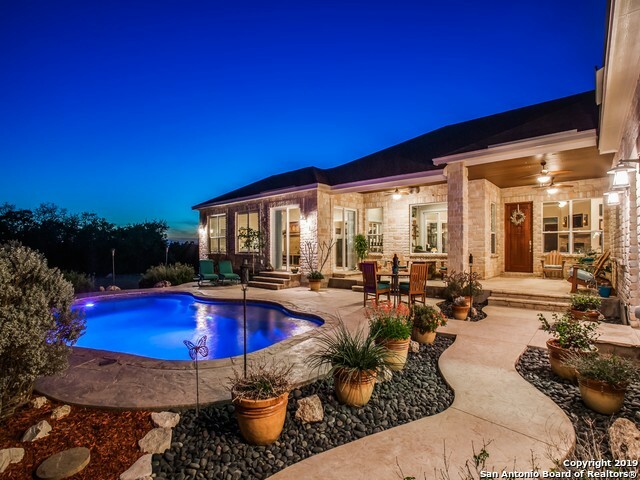 "Luxurious custom 1story Estate home on 10 private acres with stunning Keith Zars pool. Gorgeous kitchen, maple cabinetry, elegant dining, spacious family room with stacked stone fireplace- open plan living at its finest! 2 masters & large guest suite being used as lounge/ office/ work out space. Sunroom off main living area leads to a glassed herb room all overlooking the pool! Designed to take in the bluff, pool & sunset views with sliders leading out to multiple patios. An exquisite serene est"